The RS Aero is the product of three years of design and development. Four different hull variations and numerous rig, foil and layout options were tested, resulting in the most technically advanced single handed sailboat on the market. 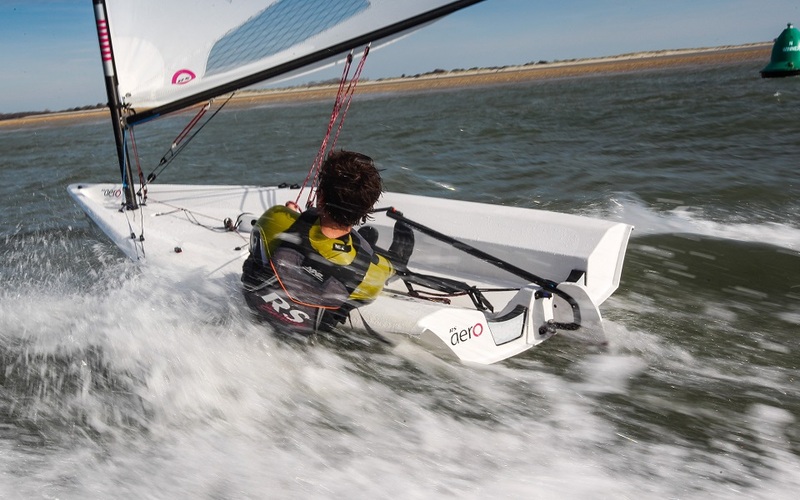 The RS Aero completely re-sets the standard for pure exhilaration in a simple single handed sailboat. Ultra-light weight means the hull and rigs need not be extreme, making the RS Aero remarkably easy to handle on and off the water. Virtually anyone can lift the boat onto a car roof-rack, pulling it up the beach makes you smile, and simplicity means the boat can be rigged in minutes. 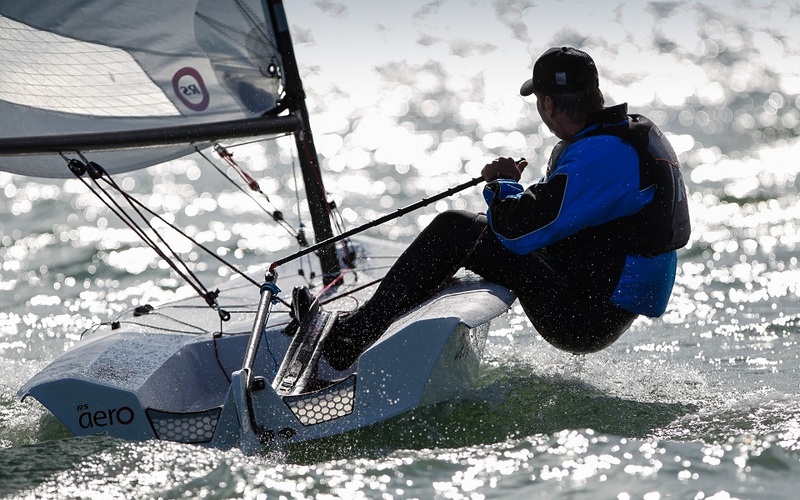 The philosophy at RS Sailing has always been to prioritize ultra-light weight performance and practicality in order to produce a simple, yet refined and durable, single handed boat that will suit any sailor between 77 and 210lbs. 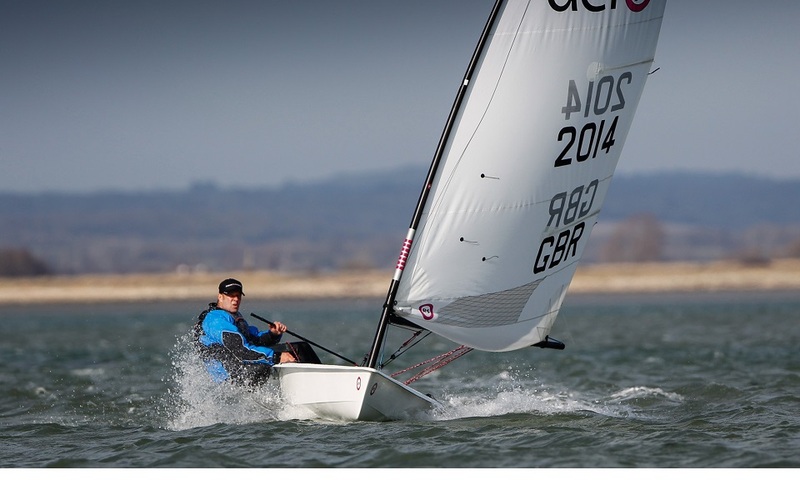 The RS Aero hull length supports a larger helmsman without being too much for smaller sailors. The hull width provides optimum performance while still fitting on most vehicle roof racks. The RS Aero's hard chine provides more stability and allows waterline and wetted surface to be less effected by the sailors weight. The raked bow on the RS Aero leads to greater flare in the foward 20%, giving added buoyancy and better handling in waves. Midship hull shape was designed with stability in mind, while the transom shape has been fine tuned to ensure the RS Aero planes bow up. The gunwale runs parallel to the ceterline in the aft half of the boat to allow for maximum righting moment wherever you are sitting. The hull and deck are joined with a U section gunwale which creates a "box frame" around the boat distributing rig load. U section gunwales also make it easier to right the boat when inverted, handle the boat when launching, and they make for a dryer ride upwind and reaching. The deck profile was chosen to minimize weight while addressing structural concerns, and at the same time maximizing comfort in all conditions. The RS Aero was designed to stack up to three high on a single boat trailer to eliminate the need for multi-boat trailers. Woven glass matt is used throughout the RS Aero hull. Carbon fiber is used in all high load areas such as around the mast step, in the hiking region of the deck, all around the gunwales, and in the transom.